Clean and contemporary style. 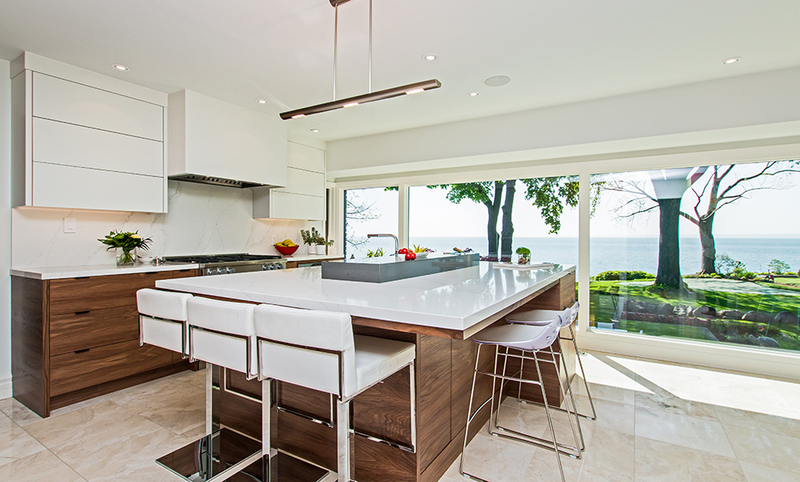 This show-stopping kitchen features a combination of white painted uppers, walnut lower cabinets and stunning Silestone by Cosentino Eternal Calacatta Gold countertops to create a rich, layered look. Walnut cabinets add warmth, the countertop seamlessly extends to create a backsplash, and a large island is perfect for the entire family to sit around. Uncompromised quality, exceptional service, always beautiful.